Highland dress, and the tartan, are among the most powerful, romantic and dramatic of all the symbols of the Celts. 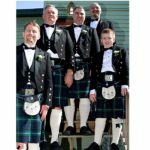 Whether you are looking for formal or casual, a complete highland outfit, or a touch of tartan to complement your look, Irish Traditions can help. 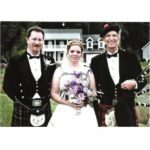 We stock men’s and women’s accessories in Irish tartans and Military tartans, including scarves, neckties and sashes. 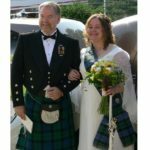 We special order items in hundreds of Scottish Clan and District tartans including ties, scarves, sashes, bow ties & cummerbunds, shawls, fabric & kilts. 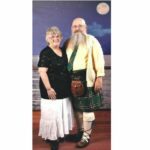 For full highland dress, we offer custom kilts in both Scottish and Irish tartans, sporrans, belts & buckles, kilt hose, flashes, kilt pins and other accessories. 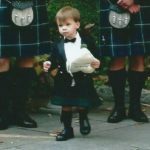 We’ll help you understand the customs surrounding highland dress and select an outfit that suits your needs. 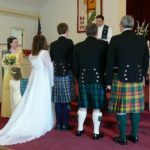 We offer kilt rentals for weddings, special occasions or if you just want give it a test spin before investing in a custom kilt. 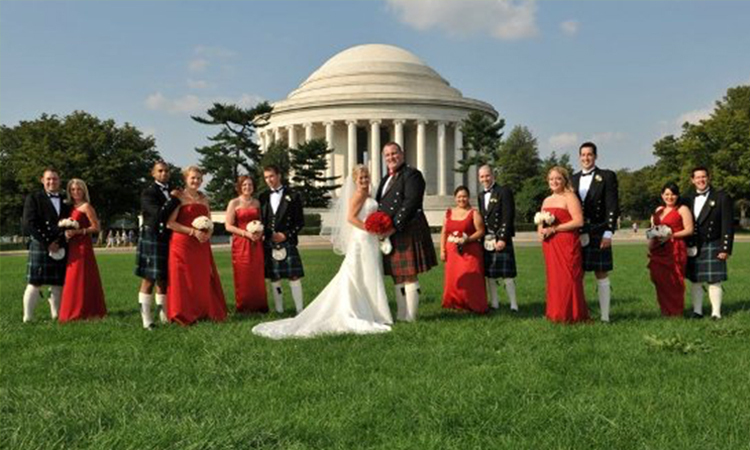 See our brochure for more information on our kilt rentals. 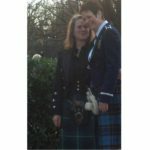 Groom in Gunn Modern Tartan kilt and Bride with new sash – welcome to the clan!